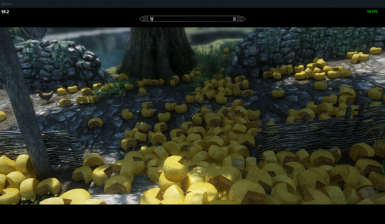 Easy and performance-friendly way to play Skyrim above 60 FPS. 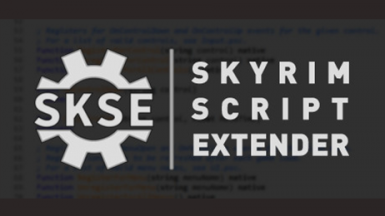 Make sure the latest version of SKSE is installed and running correctly. 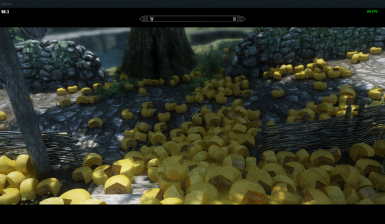 Skyrim's physics engine (HAVOK) is designed to run at 60 fps. That's why it normally updates every ~16,7ms (1000ms / 60fps). If your game runs on higher framerates some bugs can appear (Water splash sounds, water flickering, animals flying, objects moving by themselves, etc...). You can fix this by setting the "fMaxTime" value in your ini according to your framerate - but this method can lead to performance loss depending on the amount of Havok objects around you. That's why I made this plugin, which dynamically assigns a fMaxTime value according to your current framerate at runtime. This allows you to have an unlocked framerate without suffering from HAVOK's issues. Q: Do I need this if I play @60 FPS locked? A: It depends on your PC / mod setup. It can actually help if your pc can't reach a stable 60 FPS but in most cases it's not the physics engine's fault. This plugin might help if you get occasional physics glitches but these can also be caused by certain mods (Immersive Armors for example). Make sure to set the HavokFix.ini setting "min" accordingly if you plan to use it @60 FPS or lower. Q: Why use this plugin instead of changing the fMaxTime ini value? A: To get the best performance you basically want the fMaxTime value to be as high as possible (for example 0.0166 @60 FPS) while still being low enough (for example 0.0069 @144 FPS) to not cause any physics or water glitches. This means that you would either have to lock your framerate or settle with a possible performance loss. This plugin is my take on having an easy way to play at higher framerates without said performance loss. 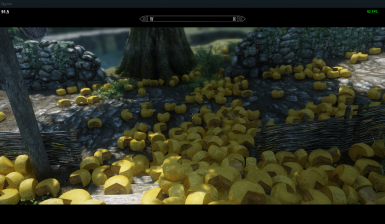 Just install with your favorite mod manager or extract the zip file into your Skyrim game folder. It should be compatible with most if not every mod on this site. Only incompatibility I had was with RivaTuner Statistics Server. This reddit post for exposing a possible fix, which I built upon. kapaer﻿ for providing the source of Safety Load from which I took some SKSE code.